In Dubai it means keeping the dust and sand off the car and exposed car parts. These particles can cause a lot of abrasion damage to the vehicle. So, taking the car to a car wash is not an option, it is a necessity. But, taking a car to a car wash in Dubai or having someone come to car wash at your door step can at times be risky especially if you have a special finish on your car. You need to be careful with the soap you use, the kids of brushes and cloth you use to clean and wash the car. Slightest bit of mistake can cause damage that could cost you a lot of money to repair. There are three scenarios when washing a car. a. Do it yourself at home. One of the biggest mistakes people make is washing the car in direct sunlight. They pull out the car and park in out before they start washing. In Dubai this could get the metal of your car hot very quickly and you run the risk of the water and soap drying out on the car before you have had a chance to wash it off or wipe it clean leaving water spots and soap streaks on the hot metal and glass. Not these, we know are very difficult to get off. So, start by parking your car in a well lit but shady area where there is proper drainage. If you have no shady place, keep spraying the car with water while washing – this will keep it cool. A better option is to wash the car in the cooler temperatures in the morning or the evening. Do a prewash before applying the car shampoo. This take all the dirt and debris off the paint work. This is an essential step and should never be missed. Concentrate on the parts that tend to catch a lot of dirt before working your way up to the top. Do not use sponge to clean the car – sponges catch and trap dust particle that scratch the paint surface causing damage over time. Use microfibre gloves or towels instead. Use two buckets one for the soapy water and other for the clear water to rinse your cloth in while applying shampoo or soap. The next thing a lot of people do is to use just any old soap to wash their cars. What is good for your dishes may not be ideal for the paint work on your car. Neither is using a hair shampoo a good idea as it can damage the paint work. Always use a car washing formula that is recommended for your car finish and paint. Carefully check the labels before using them. 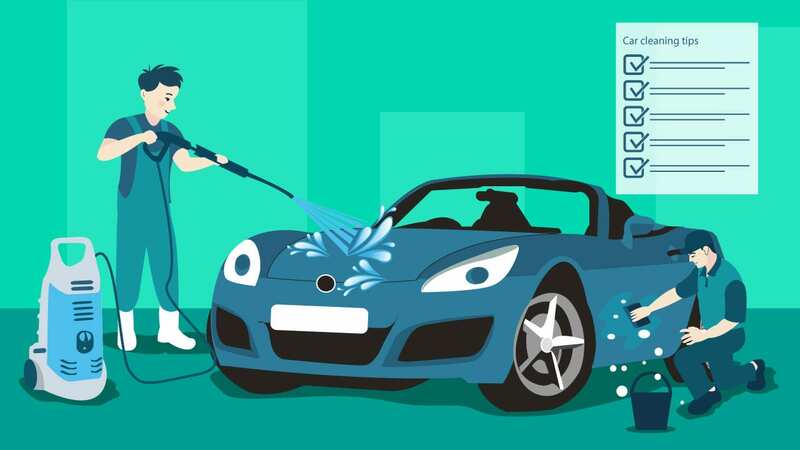 The dishwashing soap, detergents or any other soap may have degreasing agents in it which could strip the protective waxing of the car paint leaving it vulnerable and dull. Do one section at a time. Do not start with the whole car at once unless you have helping hands. Do one section at a time. Start with the lowest section and tyres first. Use high pressure jets to clean these areas to get off all the built-up dirt and dust from the car. Spray, soap and rinse each section before moving on to the other. Use car washing mittens or other similar cloth to dry the car. Do not use your wiping cloth to clean any left over spots of dirt – this could leave scratch marks on the car surface. Drying the car is just as important as washing it. Use a wiper or a squeegee to take off all the water and then use a soft absorbent cloth to dry off the any residual water or moisture. Now if you think the job of washing the car is done, then the job is just half done. It is essential to wax the car too. If not every time you wash it then do it once every two or three times you wash the car. Even the gentlest of soaps can strip off the protective wax and finish off the paintwork and this needs to be replaced to prevent damage to the paintwork. Then, lets be honest a shiny car looks great. Waxing a car also needs attention. First use a wax that is recommended for your car finish. You may choose from a liquid wax or a solid one. If you are using a polish instead of wax again see if it is recommended for your car. Never apply the wax or polish directly to the car. This will leave unsightly dark streaks on the paint which are hard to remove. Use a soft wax applicator or cloth to apply the wax. Start from the top and work your way down. Apply one coat allow it to dry before starting with the other. Apply no more than two coats of polish. One base coat and the other supplementary coat to cover the spots you may have missed in the first one. Any more coats are only a waste of your money and time as they will come off when buffing. The last step is to buff the car. This requires rubbing it to give it the required shine by hand or using an electric buffer. If you are not the hands on type of person but like your car clean nonetheless, the way to go is an automated car wash service. There are several in Dubai and you can choose the one that suits you best depending on the location. A car was near you or your home is the best bet you can drive in during the less busy hours and beat the rush. It is not too long a distance away so when you arrive back home the car is still dust free. The car wash gives you all kinds of service options where you can choose which services you would like along with the car wash. You can pick a dry-cl;eaning of the interiors as well as polishing and waxing service. But be careful of the automated polishing services, sometimes the large brushes may scratch you lovely paintwork. There are newer types of car washes now available and they do not use any brushes at all. This may actually be a better way to wash the car as only high pressure water and air is used to clean the car and dry it. 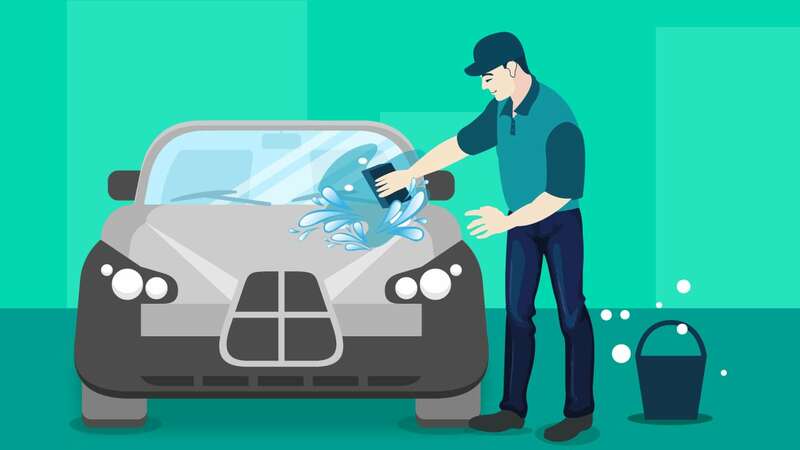 Before taking the car to an automated car wash, make sure that you look for any warning signs and remove any external objects like antenna, etc. from the vehicle as these are likely to get damaged. Before picking up a car wash ask around to see which are the best car wash services around you. There are eco-friendly car washes around too and if you can find one, then use it to contribute to the environment. 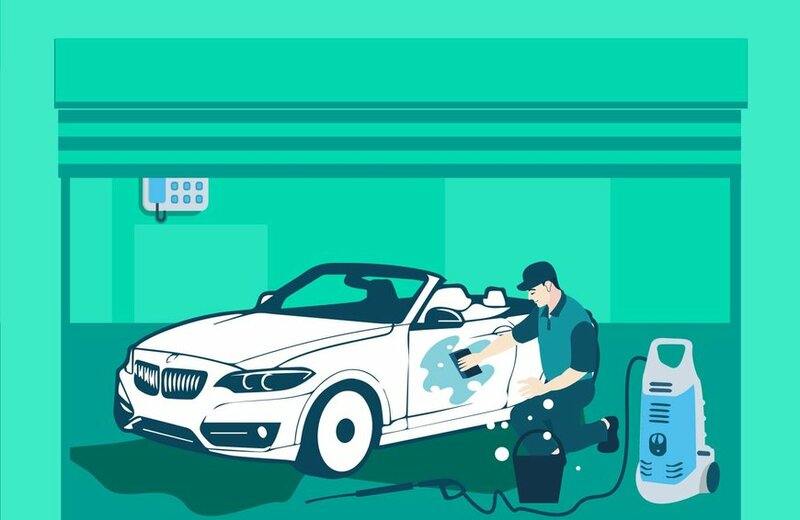 Now these are often door step services where a professionally trained car washer will come with all the equipment to wash the car at your door-step. These door-step car wash services are becoming popular in Dubai and are available across the area. You can check out some good door-step services at help4u.today which is a domestic services aggregator and facilitator operating in and around Dubai. You can search for a good car was service on help4u.today and hire one based on the reviews, rates and location. While choosing, you should look at the experience of the crew, the kind of products they use and the equipment they have. Once you have hired a service, you can then check their cleaning soaps and waxes before they begin work to be sure that they are the right ones for your paint work. Make sure that the service has insurance in case they damage your car in anyway. This service is perfect for people who wish to have their car hand washed but do not want to get their hands dirty or do not have the time to do it themselves. You may keep your own cleaning products to give to the service and ensure that they use it. 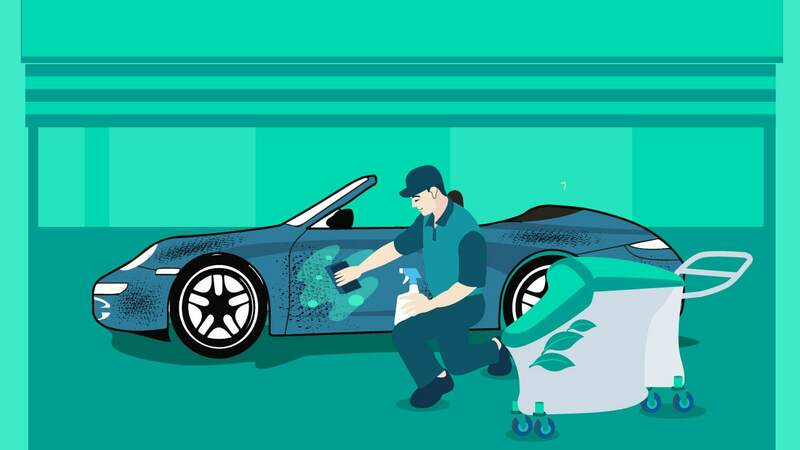 Keep reading our car cleaning blogs to learn about ways to keep your car clean. Also, check out the help4u.today website to hire other domestic help we connect you to various domestic service providers from maids to gardeners and even carers and nannies.